You are transporting your 78- year old patient to a CT scan. She has a history of COPD and has had a tracheostomy for several months. She normally has an effective cough to clear any secretions, but mid-transport you notice that she starts seeming restless and agitated. Her pulse oximeter begins to alarm, and on auscultation you hear rhonchi bilaterally. You suspect that she may need to be suctioned to remove a mucus plug. You flip the switch on the portable suction machine attached to the transport bed, and you hear... nothing. Even though the battery was charging for hours, your portable suction machine won’t operate. As a nurse, when you need equipment in an emergency, you need it to work and you need it to work effectively. Here are some signs that your portable suction machine may need to be replaced. The length of time your suction machine will run on battery power will vary based on the model, but your device should be capable of running at full capacity for at least 45 minutes. Failure to do so may leave you with a non-functioning machine at a critical time. Lead-acid batteries may need to be replaced about every 3 years. Check with your machine’s manufacturer about obtaining a replacement battery. If that doesn’t work, or one isn’t available, it’s time to invest in a new machine. Check that the canister is not damaged. Make certain that the vacuum line and canister lid are tight. Check that the catheter thumb vent is being properly occluded when applying suction. Inspect the pump for debris. Disinfect according to directions if moisture is evident. If suction does not improve to an acceptable level following these attempts, it would be wise to purchase a new device. A machine that has been dropped, submerged in water, or undergone excessive wear and tear poses a safety risk to both the user and the patient. 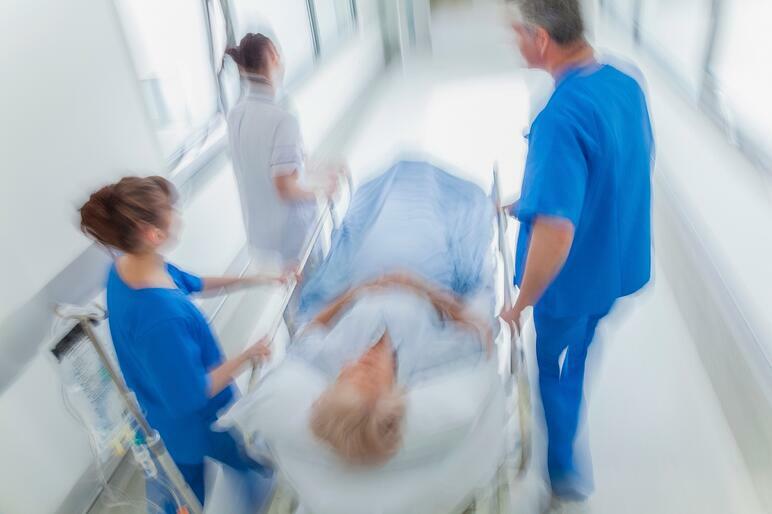 In an emergency, your portable suction device may need to be brought to a patient’s bedside, carried up a stairwell, or strapped to a gurney, so it must be lightweight and streamlined. Older devices may be difficult to attach to a crash cart or take up the whole work surface. If your current device is difficult to maneuver and operate, consider a newer model. Some new portable suction units only weigh a few pounds and feature a flat back and/or retention bracket to make them easy to connect to a bed or crash cart. Hospital budgets can be tight, and investing in new equipment isn’t something that should be taken lightly. But if your portable suction machines are beginning to show their age, you don’t want to put your patient’s safety at risk. Make sure you know the signs of when it’s time to replace your portable suction machine so it can be budgeted for appropriately.